This isn't the usual Happy Friday photos I post but we saw Silver Linings Playbook this week and it's totally still on my mind. Haven't seen a good movie in a while and this one was really good! Has anyone seen the movie? What'd you think? It was hilarious! really sweet and heartwarming. I really want to read the book now, has anyone read it? I'd really love to see this movie! I love Jennifer Lawrence, she's such a great actress and she's soooo beautiful! I saw it and really liked it. I've been watching so many interviews with Jennifer Lawrence, she's such a cool girl. It's been a long time since a film has hooked me in as much as this movie. I really want to see it! I didn't even know it was a book. I'm going to have to get that from the library. Saw this movie some time ago and loved it! :) Have a fun weekend! 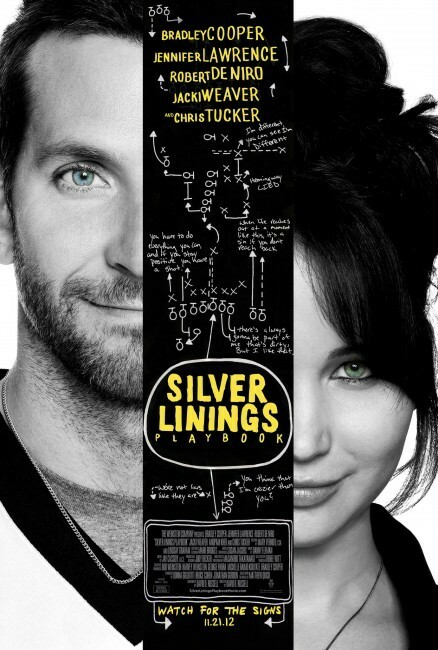 I've always been a Bradley Cooper fan :) I really want to see this movie! Jennifer Lawrence is such an amazing person! And only 23 years old. Great to know she has a good head on her shoulders and most unlikely to turn into another Lindsay Lohan. I am almost done reading the book and I love it! Very excited to finish it and see the movie...glad to hear you liked it! I have loved Bradley Cooper since I first knew about him, but that was because he had an adorable character on the tv series Alias, with Jennifer Garner. Watch Season 1 (and maybe 2?) on Netflix and you'll love him. I met him in NYC after his Broadway play "3 Days of Rain" years ago, and all I could say was, "I loved you in Alias!" (by that time he hadn't been on the show for years, so it was a pretty nerdy thing to say). I have probably only seen one or two movies with him, tho, since I'm not so into the Hangover or Wedding Crashers types of movies. I love Jennifer Lawrence too and thought it was so cool she won an Oscar. I can't wait to see this movie! I read the book before I saw the movie and loved it. I think the book is a little less happy but maybe a little more realistic. It's still funny and happy, but definitely gets into their crazy and relationships with others a bit more. LOVE LOVE LOVE the movie. Had no it was based on a book! Now I wanna read it, too!! You should also see Safety Not Guaranteed. Ready, go watch! Totally not weird to post about movies! I'll have to see this one. And... I just saw the interview of BC speaking french.... whoa :P love that! ek, I still haven't read this or seen the movie. I am DYING to do so! Anyway, it was a nice read. And I'm sure that if you liked the story, you'll enjoy reading it as well. Its totally not weird to post about a movie. This was on my list of movies I really needed to see before it left theaters, and I finally did a few weeks ago. It was phenomenal. 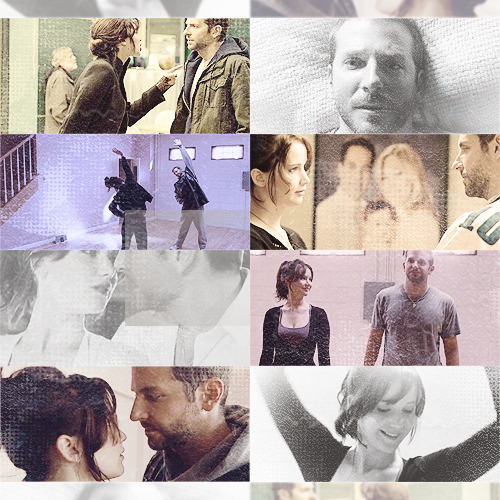 I was blown away by everyone's performances, especially Jennifer Lawrence. She is an amazingly talented actress, and seems like an all-around cool person. I absolutely loved this movie! Jennifer Lawrence is just too awesome. I really have to see this movie! Rayos, abro el blog de curiosidad y me encuentro con ésto, la película que fui a ver con mi ex enamorado al cine, solo recuerdos me traen, es una hermosa pelicula, mas para ver con una hermosa persona..
i love this movie! i've seen it three times in theaters (which is a lot), but i only saw it on the $5 days so it's pretty much like seeing it for the price of one ticket on any other day.